Lagos – Prince Tony Momoh, a former Minister of Information has said it will be very difficult task for former President Olusegun Obasanjo to remove President Muhammadu Buhari from office in 2019 no matter how he tried. 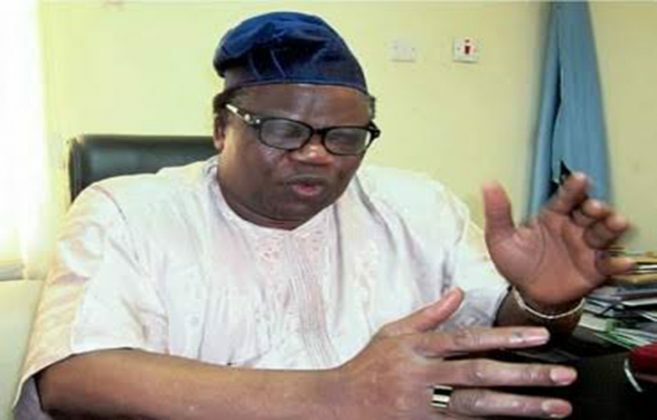 Speaking in an interview with DAILY INDEPENDENT, Momoh, a national leader of the ruling All Progressives Congress (APC) also allayed the fears of Nigerians over the possibility of mistaking APC for ADC, which is the acronym of African Democratic Congress, the political platform adopted by Obasanjo’s Coalition of Nigerian Movement (CNM). According to him, the acronym of both parties are different while their logos are also different from each other. On Obasanjo’s quest to terminate Buhari’s reign by 2019, Momoh said the former president as a democrat will never get involved in a coup and in the eventuality of that, such a coup will not succeed as it will be resisted by well-meaning Nigerians. “APC is different from APC and I don’t see them as a threat to our party. Everybody have their crowd. Do you think APC crowd will enter ADC? Both parties have their logo which is different from each other.